Curt Gowdy (July 31, 1919–February 20, 2006) was an American sportscaster. 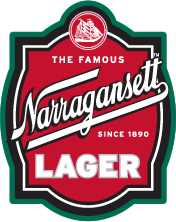 Throughout the 1950s and early 1960s, Curt Gowdy was the voice of Red Sox Baseball, and Narragansett Lager beer was the official sponsor of the team’s broadcasts. Those who tuned in heard his famous calls of “Hi Neighbor, Have a ‘Gansett,” making the slogan synonymous with the famous ball team. 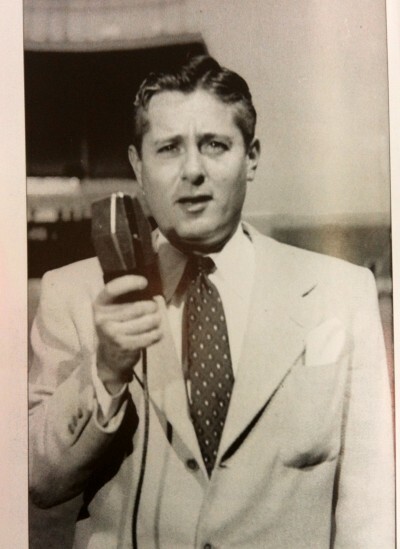 He later went on to cover many nationally televised sporting events, primarily for NBC Sports in the 1960s and 1970s. He would’ve been 94 today. 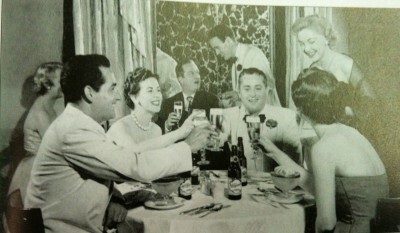 Gowdy appeared in a series of postcards from Narragansett, seen with friends enjoying dinner and lots of ‘Gansett. The favorite record, “Hi Neighbor Jingle” with Curt Gowdy, was played on radio and television. You can still find this record and thrift stores and vintage shops around. Listen and enjoy to the classic “Hi Neighbor” jingle made famous by Hall of Fame broadcaster Curt Gowdy. In honor of Curt Gowdy, here’s a re-enactment from a dedicated ‘Gansett and Red Sox fan. 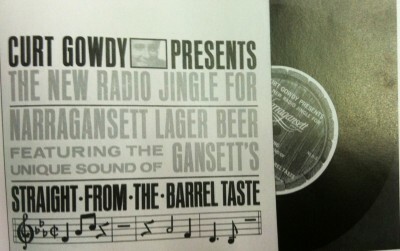 And here’s an old ‘Gansett ad for the Red Sox featuring the voice of Gowdy himself.